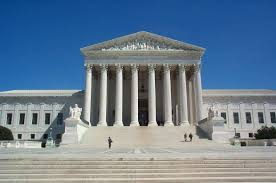 On June 24, 2013, the U.S. Supreme Court issued two decisions toughening standards for workers bringing discrimination or retaliation claims involving workplace harassment. In one case, Vance v. Ball State University, et al., a catering worker sued Ball State alleging she had endured racial harassment by a woman she characterized as a supervisor. The University claimed the alleged harasser was not a supervisor. This distinction is important because an employer’s liability for workplace harassment depends on the status of the harasser. The Court narrowed the definition of a supervisor for purposes of vicarious liability under Title VII to only those persons with the authority to hire, fire, demote, promote, transfer or discipline workers. Previously, in line with prior Court decisions, EEOC Guidance policies had included not only those with specific authority over the employee, but also included anyone with authority to direct or oversee a person’s daily work or schedule. In the second case, University of Texas Southwestern Medical Center v. Nassar, Respondent, Dr. Nassar, who is of Middle Eastern descent, claimed his supervisor was biased against him because of his religion and ethnic heritage. Nassar complained to his supervisor and to his supervisor’s supervisor. After Dr. Nassar was offered a position at the medical center, he wrote a letter about the discrimination and the complaints he had made to the supervisor’s chain of command. The job offer was then withdrawn. Nasser alleged it was withdrawn in retaliation for his complaints of harassment. A jury found in his favor and the Fifth Circuit affirmed. But, the U.S. Supreme Court held that Title VII retaliation claims must be proved by principles of but-for causation. The Court placed a stricter standard of proof on plaintiffs and said that an employee who brings a retaliation claim must prove the employer’s action was actually motivated by the employee’s discrimination complaint and not some other reason. Both cases split along the court’s conservative/liberal divide with Chief Justice Roberts and Justices Scalia, Kennedy, Thomas and Alito backing the employers while the dissenting Justices Ginsburg, Breyer, Sotomayer and Kagan sided with the workers. Previously, the Ninth Circuit Court of Appeals which oversees Arizona among other western states had adopted the EEOC’s more expansive definition of a supervisor. With the Court’s narrowed definition of a supervisor, a company faces vicarious (or strict) liability only when the “harasser” is an individual who has the power to take tangible employment decisions against an employee, such as hiring, firing, promoting or demoting. In her dissent in Nassar, Justice Ginsburg expressed her belief that the majority’s opinion reins in retaliation claims and misapprehends what the Court’s decisions teach. As to retaliation claims, a plaintiff must now prove that the desire to retaliate was the sole (“but-for”) cause of the adverse employment action. It is no longer enough to show that retaliation was a motivating factor in the adverse employment decision.